Weaving sustainability into the curriculum across all disciplines at UofL. Recommended Reading: David Orr "What is Education For?" 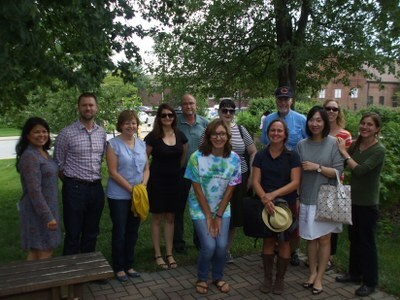 Green Threads is an annual workshop and cohort open to all UofL faculty and GTA Academy participants organized by the Sustainability Council's Education & Research Committee. The program is designed to expose faculty to sustainability issues and to help them weave sustainability themes into existing courses or to create new courses with sustainability content. 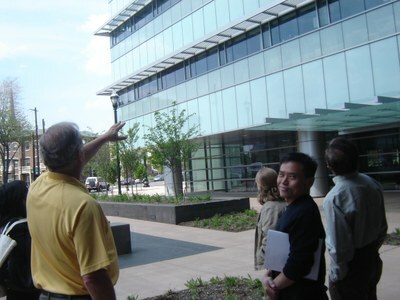 59 UofL professors have participated since the program launched in 2009. Participants receive inspiration, resources, and mutual support. Incentives also include an honorarium of $500, a series of workshops including tours, meals, and resource materials on sustainability. The first Green Threads cohort formed in the spring of 2009 and applications for new participants are accepted each spring. Read about the experiences of one Green Threads participant from the Department of Fine Arts, Professor Ying Kit Chan. Contact: Daniel Decaro (502) 852-2927. Are you interested in sustainability issues related to environmental, social, and economic stewardship? Are you thinking of adapting a course to incorporate such concerns or creating a new course to focus on issues of sustainability? If so, we invite you to participate in Green Threads: Sustainability across the Curriculum. 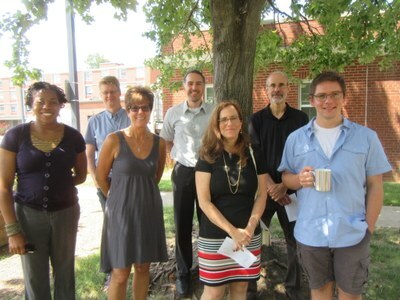 This faculty development workshop, sponsored by UofL’s Sustainability Council, has been run annually since 2009. We begin recruiting a new group of participants each spring. Green Threads is an all-day workshop held between the end of the spring and beginning of the fall semesters, with follow-up events later in the fall. This workshop is open to part-time and non-tenure-track faculty, as well as GTA Academy participants! The Sustainability Council invites full- & part-time faculty as well as GTA Academy participants from all disciplines to participate in the Green Threads workshop. 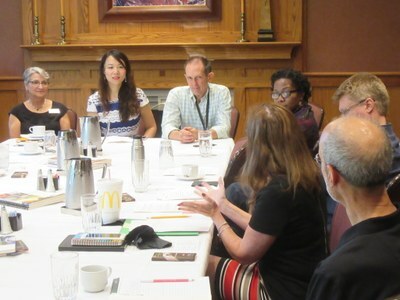 The process of bringing faculty together to discuss sustainability across the curriculum was pioneered at Northern Arizona University (Ponderosa Project) and Emory University (Piedmont Project), and their approach has garnered national attention for engaging faculty in collegial experiences leading to curricular change. In this workshop, we will explore a variety of ways to embed issues of sustainability into the curriculum and into our classrooms. Green Threads is an all-day workshop that is held at the end of each Spring semester. Participants receive an honorarium of $500 (for UofL faculty only), information on local and regional sustainability issues, local sustainability tours, and resource materials. Previous participants have evaluated this workshop as intellectually stimulating, exciting, and providing a valuable new network of faculty interested in sustainability from across the disciplines! Application Deadline for the 2019 Workshop has been extended to April 12, 2019. Workshop Applications: Please submit an application (download here) with your department Chair’s approval that includes a description of how you’re considering changing an existing course or the new course you’d like to develop to Daniel DeCaro daniel.decaro (at) louisville.edu, (502) 852-2927. (1) Participate in the day-long workshop. (2) Read materials prior to the workshop. (3) Submit a syllabus for the revised or new course and a paragraph on the intellectual process involved. (4) Report back to the group on progress during an August field trip and at a Spring presentation for the university community. All education is environmental education. By what is included or excluded we teach students that they are part of or apart from the natural world... No student should graduate without understanding how to analyze resource flows and without the opportunity to participate in the creation of real solutions to real problems. - David Orr "What is Education for?" UofL's EcoReps Program - provides a series of short online training videos and supplementary readings on a variety of sustainability topics which can easily be incorporated into courses. The program also offers a certification program and service opportunities for students, faculty, and staff. Campus and Course Conversations - an adaptation of Living Room Conversations that offers a practical and powerful approach to support the rising spirit of citizens coming together, outside of the partisan bickering, to create new relationships, to spark opportunities and to encourage sustained engagement to address local and national challenges. Sustainability Education & Economic Development (SEED) Center - offers an online resource center featuring curricular materials and more. Organized around 7 sectors: Solar, Wind, Green Building, Energy Efficiency, Sustainable Agriculture/Food/Land, Transportation&Fuels, Clean Tech, and Sustainability Education. Climate, Adaptation, Mitigation, E-Learning (CAMEL) - A free, comprehensive, interdisciplinary, multi-media online resource of credible content and curricular tools to help educators more effectively teach about climate change. 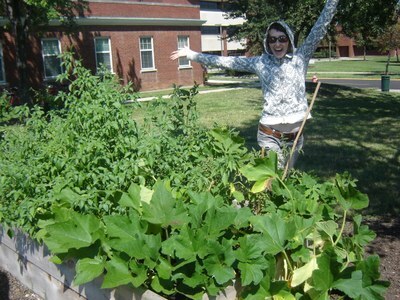 Giving assignments in sustainability to your students? Check out these Key Components of Quality Sustainability Assignments - focus on solutions and systemic change, rather than disempowering "doom and gloom." Make the work relevant to the skills of being change managers (key sustainability learning outcomes). Evaluate your students using the International Sustainability Literacy Test to measure knowledge of sustainability issues and the skills required to make change. Contribute to workable solutions that support tangible sustainability outcomes on campus and the surrounding community. The publication brings together lessons from on-the-ground management of applied learning for sustainability programs across the U.S. and Canada with literature related to sustainability science, sustainability pedagogy, change management and partnership development. Disciplinary Associations Network for Sustainability (DANS) and the Higher Education Associations Sustainability Consortium (HEASC) have created the Sustainability Learning at Colleges and Universities discussion forum where you can post questions, discuss ideas, and get insights from colleagues around the world. 11. Waste & Recycling resources for improved handling of solid waste. A one session discussion guide that explores the connections between Deepwater Horizon, energy policies and our lifestyles. The course offers an opportunity to reflect further on this historical event and the lessons it holds for us moving forward—individually and collectively. The intent is not to assign blame, but rather to take responsibility—as conscious consumers and concerned, active citizens.